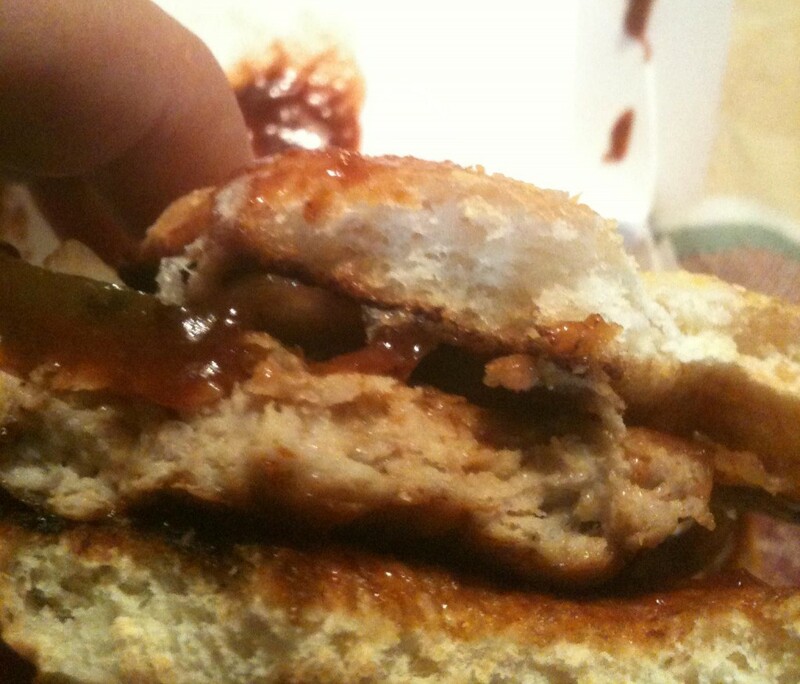 The McRib, for those unfamiliar with fast food pop culture, is a precooked, frozen, formed ground pork patty served on a roll with with barbecue sauce, onions and pickles. McDonald’s makes it. One of the things that creeps me out about the sandwich is that the patty is actually shaped to resemble a BBQ rib, so it has meat-bones. Sounds appetizing, right? Perhaps it’s my own history with the sandwich, or rather the people I associate with the sandwich, but I can’t say I share the same gusto for this culinary convenience as the more ardent meat-bone enthusiasts I’ve read/spoken with/eavesdropped on. As a kid, I knew only two people who loved the McRib. The first was a normal looking guy. He always wore jeans and button down shirts. The other guy wore stained t-shirts and sweatpants. 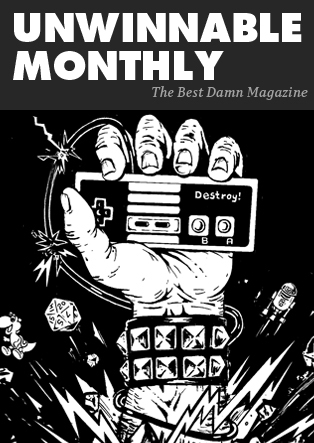 They both hung out in the comic shop and they bonded over two things – Magic: The Gathering and The McRib. Now, both of them were super nice guys and all, but they were ALWAYS eating that damn sandwich. Then a little while after finishing their sandwiches, the store would stink of farts. 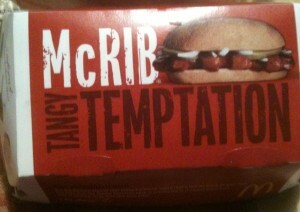 Suffice it to say, the experience scarred me and I never got into the McRib. Flash forward to the present day. Several friends of mine wouldn’t stop worshipping at the molded pork altar. They told me I was wrong and that I had to try it. They told me of the meat-bone and how it would change the way I see life! They were like Jehovah’s Witnesses and I was a tired sinner. After a few rounds, I relented and said I would try the sandwich. That’s right, after decades of putting down a sandwich that reminded me of fart stink, I stopped by McDonalds and bought a McRib. I took it out of the bag, laid it on the table and opened the box. It looked like a crime scene. I put it in my mouth anyway. 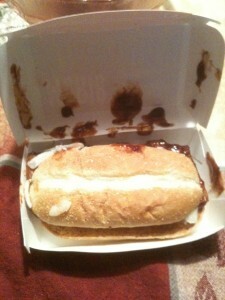 The McRib is The Phantom Menace of sandwiches. It tasted like tofu smothered in No Frills BBQ sauce. It’s wholly unfulfilling and I’m beginning to question the judgment of those I hold dear – I’m beginning to feel like Veronica Cartwright in the last moments of Invasion of the Bodysnatchers.